Over 10 years transforming lives. Traditional Medicine. Natural Therapies. Healthy Nutrition. The Elmtree Clinic is acupuncture and wellness clinic with a particular focus on fertility, health and well-being. Whether you are struggling with infertility or just feeling out of balance, our services are here to help support you physically, emotionally and spiritually on your health journey. We believe that for a body to function it must be in harmony with itself, its surroundings and the environment. The Elmtree method integrates the most effective natural therapies with highly therapeutic nutrition, without neglecting the latest advances in Western medicine, especially in preventive medicine, biology and anti-aging. The coordinated and supervised fusion of Traditional Chinese Medicine significantly enhances the positive impact that these therapies would have on an individual basis. 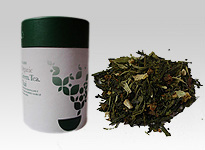 All-natural, herbal teas and supplements for Men and Women with fertility-enhancing properties. ​Ian is internationally recognised as an expert in the areas of fertility, health and well-being. He is the founder of 'The Elmtree Clinic' – Ireland's leading natural fertility clinic specializing in integrating complementary therapies into mainstream medicine for health, fertility, IVF support, and pregnancy. He has a powerful and clear vision - to bring science, medicine, psychology and spirituality together in the service of health and healing. With a particular passion for fertility Ian's unique approach has helped him become a renowned spokesperson for this new approach to fertility, sharing his pioneering work with a gentle graciousness, enthusiasm and humility.